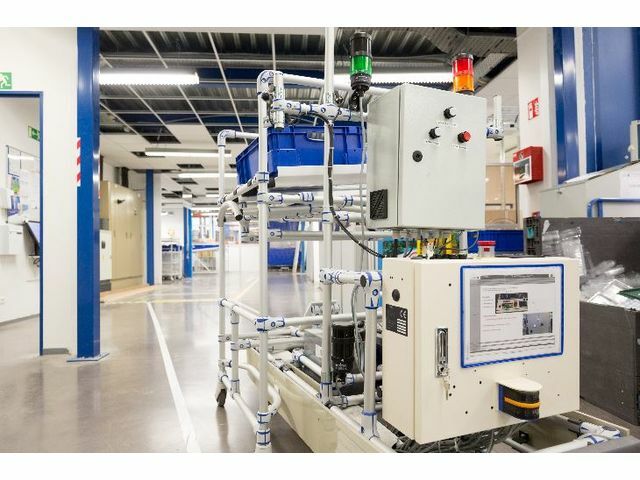 Controlled by WCS ISIPICK, the AGV solution - provided by ISITEC International - will allow you not only to connect your AGV to your WMS / ERP system but also to all your other support tools for production or order picking. Simple and effective technology of "karakuri"
The AGV shooter will load and unload automatically the containers (boxes, carton cases, pallets...) by a gravity system. This solution the said "karakuri" in Japanese presents the advantage of being 100% mechanical, and it reduces therefore the automation costs. 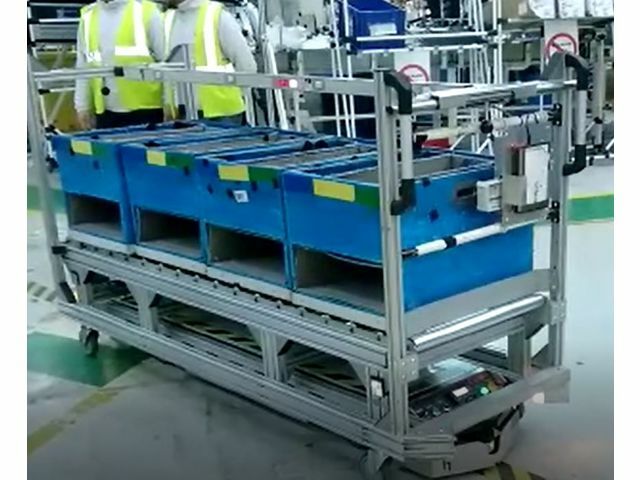 Widely used in the automotive industry and now by the big market places, the crawling AGV will pass under the cart or the roller furniture to be carried, then will hook it by a system of "pin hook" in order to convey it. The objective of the crawling AGV is to optimise its length with its cart and thus to be able to pass into more confined spaces. 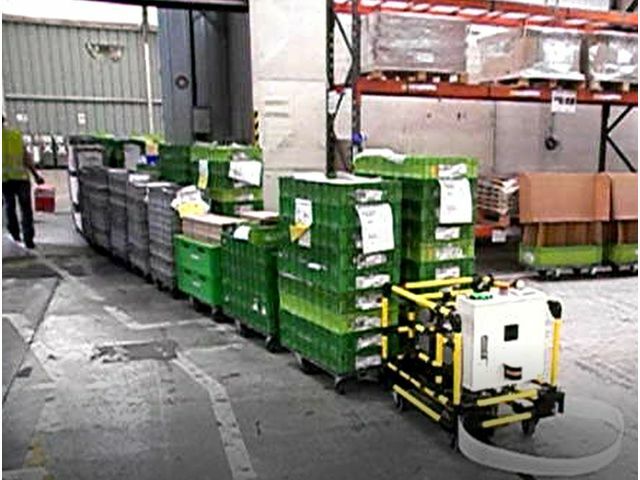 The AGV carrier will replace the "old world" conveyor systems. 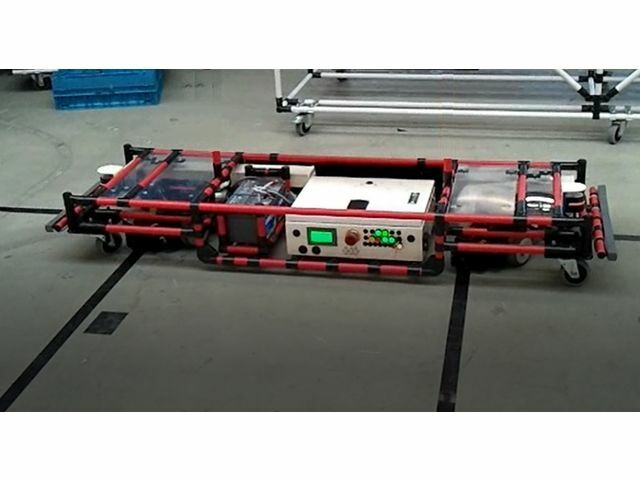 In Industry 4.0, the AGV carrier will simplify the installations and make them more scalable.